Re: Get a Lifetime of Savings with Rainier! I love my big dish. Its saved me countless dollars over the years. Kicked cable outta here many moons ago. Never bought into pizza dishes with their cell phone contracts, hidden charges and bill creep. Being with Rainier a while I can honestly say they've been great. There service works well in all weather conditions, the picture is outstanding. Rainier's support has been top notch, very quick to answer any question I have. Rainier may not have every channel yet but they have a good track record of always adding more. Its actually fun waiting to see what Rainier comes up with next. Its never been a disappointment. Being a subscriber its great when Rainier adds new channels. I know my access is only a phone call away. Anyone with a c band system for years knows what I'm talking about when new channels pop up for us. I makes me feel like a kid in the candy store. I you have an old big dish that's not been used for years you owe it to yourself to fire it back up and subscribe to Rainier. If you went the route of pizza or cable kick em to the curb and join Rainier you won't be sorry. GO GO GO Rainier!!!!! I wish you continued success!!!! Spoke to Rainier yesterday. 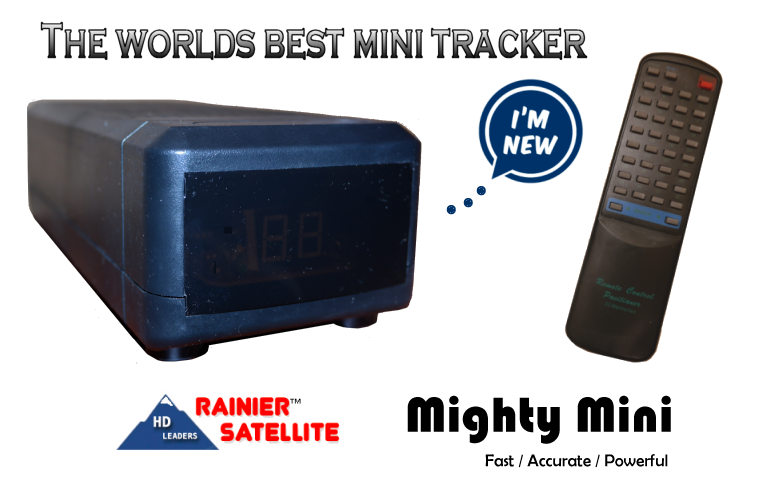 Their new movers (mighty mini) are going to be in stock in the next couple weeks. This is great. Rainier keeps themselves busy moving forward. They don't sit on their arses and whine like the fta crybabies about what should have been. Keep up the good work Rainier, you guys have a very bright future. Can't go wrong being a Rainier customer. Rainier is pleased to be able to provide our own high quality tracker necessary for big dishes. We're the future of C band. Good that Rainier will soon have a smaller mover soon. Recalling the old satellite designations just to use GI350 analog receiver as a mover has grown old - literally. Would rather have degree designations for sats if that is a feature of the Rainier mover? I'm ready to buy. Thanks Rainier for continually bringing out quality products for the c band market. No worries of duds with Rainier. That new mighty mini reminds me alot of the old GI 2000PS power supplies from analog days of C-band. But the mighty mini has to have a much smaller footprint judging by the side-by-side photos with the CIsco 9865. Good that we have an option to retire our dated 4dtvs, GI 350s & such. Far less confusion reading degrees for satellite position than the old letter/number designations.